Without you knowing about it, Stanislav Petrov has been a part of your life. He has saved the world as we know it by the decisions he made all the way back in 1983. On 26th September, 1983, Petrov was the duty officer at the command-center for a nuclear early warning system near Moscow in Soviet Union. That night, he faced one of the biggest decisions of the 20th century – a decision that could have precipitated an inevitable chain-reaction of events to culminate into the destruction of the whole world. Hard to get what this means into our gut and that is part of our collective challenge – but that’s beside the point. How did a low-ranked duty-officer come to bear such a huge responsibility? After all, we expect this to come to the desks of country leaders & top generals. And what made it such an agonising decision? In the eighties, the then superpowers, the United States & Soviet Union, were in a state of MAD ( Mutually Assured Destruction) This is even now the case. MAD means both superpowers had enough nuclear weapons to absorb a first-strike and retaliate amidst death-throes to destroy the enemy. Both countries had enough nuclear weapons to destroy the world many times over. To deter each other from springing nasty surprises, both sides were compelled by the structural logic of MAD to do two things – 1) be on hair-trigger alert to launch nuclear missiles 2) maintain command centers for continuous monitoring of enemy sites & warn if there is any enemy missile launch. Stanislav Petrov was the duty-officer at such a command center. This state of perpetual readiness ensured a level of sustained tension where each side knew there is no way to win a nuclear war and the only outcome is destruction of both sides, of life and of the planet itself. MAD was a theory meant to preclude practice. It’s efficacy rested on each side adhering to the theory. It was hoped that sanity prevails and nobody does the unthinkable – rush headlong onto a deadly spiral. Both sides knew that the other was watching & ready. On 26th September, it was work as usual. Routine stuff. Data transmission. Checklist tickmarks. Deadly dull work is everything working as per expectation. That was the expectation at work, anyways. All the time. And then, suddenly, it all changed! As colleagues started to relay information amidst alarm sounds, Petrov, to his utter horror, found that the early-warning system had triggered a missile launch alarm! An unprecedented once in a lifetime, even rarer event! And yet, it had happpened.. The unthinkable..had taken place.. He ordered his team to swing into rapid action mode and corroborate all streams of data. Everybody got back saying that the reporting mechanisms were working as per the plan and the information was accurate, that is, the Americans had attacked. As per the laid down protocol, Petrov was to confirm to higher-ups that the data was authenticated and the Americans had indeed attacked! There was no time to lose. The Soviet war-machinery had to be forewarned on time, to retaliate. Only the visual sighting team had not reported positively; they had not ‘seen’ the missile. As per the logic of the system, Petrov would have been perfectly right and rational in going ahead and confirming the data, and explicitly acknowledge that the enemy had done the unthinkable. It is impossible to imagine the pressure Petrov was under at that moment. Everything hinged on what he decided. If he says we have been attacked, the senior leaders would in all probability act as per the perverse logic of MAD and make it come true! But Petrov refused to say we have been attacked. He decided to ignore the entire systemic output. And called his senior to report system malfunction. What a huge risk, this call of his was! By the time, the radar screens pick up the missiles, it was going to be too late to retaliate before a first strike. If wrong, Petrov’s decision alone would have caused the Soviet Union to absorb the colossal casualties of a first-strike (beyond Petrov’s control) – some 200 million Soviet citizens wiped out – without having anything by way of retaliatory response (within Petrov’s control). Petrov stood his ground, clinging to the lack of visual sightings. But, there was more to come. Immediately after this first-call, all the early warning systems joined together in chorus and screamed out reams of data signals showing that at least four more missiles were on the way! Remember, the systemic logic of a nuclear showdown and all the data-gathering processes were preconfigured to simply throw up the rational interpretation and logical decision. The entire system was unanimous in saying there has been an attack. And the only thing left to do was validate the data as authentic and convey it to higher-ups. The entire system was bearing down hard upon Stanislav Petrov. Crushing any sense of ‘free-agency’ in him or a stirring of moral conscience that could arise in any human-being placed in that impossible situation. The whole-setup was meant to snuff out any such possibility and submit to the urgent dictates of the situation – say we have been attacked! The fate of the world was sitting on the shoulders of Petrov. Stanislav Petrov shuddered. He grappled with panic and fear. He foresaw the terror of what can come next. If only he had a cystal ball. If only he could know. But he didn’t. He had to make a judgment. He had to gamble. Petrov took all of the burden of a wrong decision on his own soul. And stuck to his guns. He decided to not authenticate the data of five oncoming enemy missiles, that if truly on the way, meant death & destruction beyond imagination! He clung to his belief that this was a system malfunction. All that was left was for Petrov & his team to wait for radar confirmation of the missiles. The final, inevitable confirmation. What an agonising wait it must have been! Unbearable tension. The time to confirm came. Nothing blinkered on the radar system. Petrov was proved right! The entire system was proved wrong. One individual overrode the system. And he proved to be right. If he were to be wrong, we might not be living in the world or living as we now do. Petrov’s response and actions are an instructive example of human ‘being’, especially if we contrast the way artificial intelligence would handle such complex scenarios. Such scenarios are after-all laced with the burden of utterly human consequences. A human being can stake everything, including self-preservation, for an ideal that goes against embedded logic. She can choose among competing ideals and acribe higher value to one or the other based on nothing but a flawed and shifting sense of being human. Artifical intelligence has a long way to go in reaching that state. 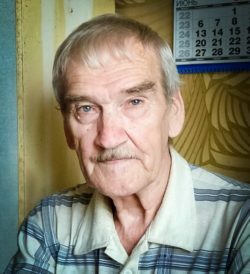 Stanislav Petrov died on 19th May, 2017. People the world over knew nothing of this man and what he did. Very few do. Even his death came to light because a filmmaker involved in a 2014 documentary on Petrov called his residence in September to wish him on his birthday. And was told that he had passed away in May. This filmmaker then spread the news of his death. The world is slowly coming to know about the death of the man who saved it. Oh, and he was assigned to the night-shift that day because a colleague fell sick.